Those of you who have children or grandchildren know that May and December seem to be the craziest months of the year. Every recital, performance, ceremony and exam seems to be crunched into these two months, as though February weren’t sitting there, all forlorn without any major holidays except Valentine’s Day. So this week will be a busy one, with PTA meetings, a winter band concert and a major holiday event for me at work. I’m planning to cook ahead on Sunday so we can have easy, quick (but healthy and local) dinners all week! Our food expenses this week are $46.58 although one meal will be out since I’ll be working, so that figure is not indicative of our total spending. There are some food combinations that immediately speak to me–chocolate and hazelnut, tomato and garlic, bacon and, well, anything. Other combinations make me wonder–is this a joke? This recipe falls in the latter category. Yellow squash and applesauce? Blech. Since I had some homemade applesauce and large, lovely yellow squash on hand, I thought I’d throw caution to the wind and give this a try. This recipe is from Food.com, but was shared with me via our weekly Produce Box. How was it? Abso-freakin-lutely delicious. These taste more like corn muffins, but they don’t have any corn in them. We loved them. They are moist and light and not too sweet. Perfect with our acorn squash and apple soup and they would be delicious with chili as well. We ate our fill and froze the rest for some future fall soup nights! 1. Preheat oven to 375 degrees. Line muffin tin with liners or lightly grease cups. 2. Wash squash, trim the ends and cut into 1-inch slices. 3. Put squash in a medium saucepan along with 1/2 cup of water and cook for about 20 minutes or until very soft. 4. 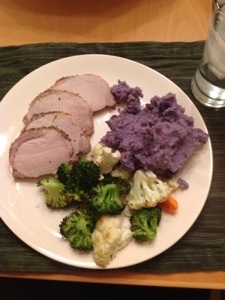 Drain squash very well and mash with a potato masher. 5. Measure 2 cups of the cooked squash into a medium mixing bowl and add eggs, butter and applesauce. Stir well and set aside. 6. Combine dry ingredients in a large mixing bowl. Make a well in the center of mixture and add wet ingredients. Mix until just combined. 7. Fill muffin cups 3/4 full. 8. Bake about 20 minutes or until lightly browned on top and a toothpick inserted into the center comes out clean. 9. Cool 5 minutes in the tin and remove muffins to a cooling rack to cool completely. So this weekend was Garden Weekend. Not quite as thrilling as Shark Week, our garden weekend involved pulling up our tomatoes and eggplants, refreshing our raised beds with certified compost, and planting fall and winter vegetables. Also, we spread compost over our front yard, which has been a clay pit, and planted grass seed. Crazy weekend. 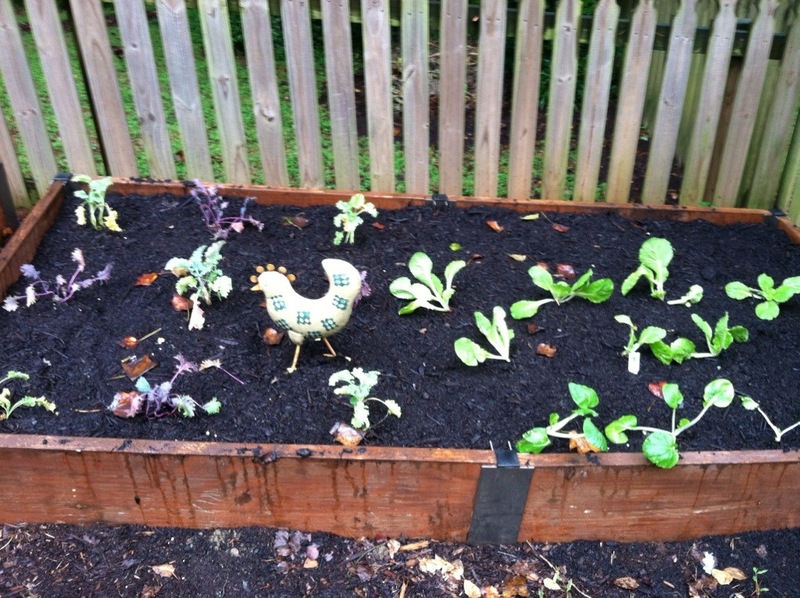 But 10 cubic yards of compost later, we are ready for some fall growing action! And, we have had some good workouts! What do you plant in the fall? 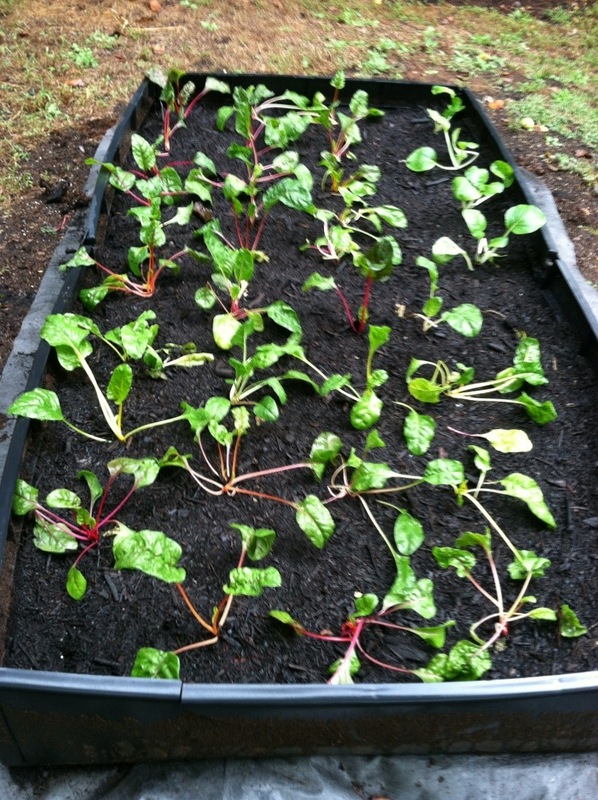 We have collards, Swiss chard, Chinese cabbage, book choi, and two kinds of kale. Are we missing something good? Enjoy this late summer/early fall weather and plant a fall garden for yourself and your family! If you have room for just one thing, I’d plant kale. You can cut it and it will continue to grow so you can harvest all winter! Also, it is an amazing super food. Fred Miller of HillTop Farms! If you have been reading along with us for a while, you may remember my lament at being such a terrible CSA participant. 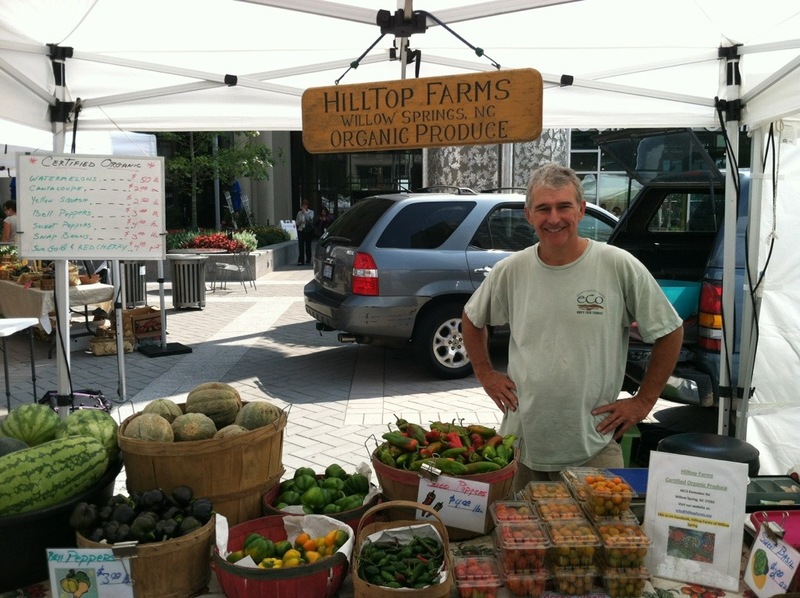 The CSA I belonged to was with a wonderful, very local organic farm called Hilltop Farm in Willow Spring. We had terrific produce (at least what I remembered to pick up was great) and farmers Fred and Virginia Miller were always helpful with produce information, cooking tips and nutritional information. Well, even though I have abandoned the traditional CSA for a delivery service (for now), I still buy organic fresh vegetables, fruit and herbs from Fred at the Downtown Raleigh Farmer’s Market. If you visit the market, Fred has the freshest and best quality basil I have seen anywhere. Pesto, anyone? Hilltop Farms is one of a growing number of Certified Organic, sustainable farms in our state and it is the first and only USDA Certified Organic farm in our county. In fact, Hilltop recently received the Pioneer Award from the Wake County Soil and Water Conservation District. Yay! From talking to a lot of farmers over the past year, I have learned a lot about the expense and time involved with becoming a Certified Organic farm. Hats off to any farmer who puts that time and effort in. The fifteen acres at Hilltop used to be tobacco land, so it’s gratifying to see land used for such a toxic crop now used to produce organic vegetables and herbs for local families. Recently Fred mentioned a new winter CSA coming up. Hmmmm, I’m tempted… Maybe there is an iphone CSA pickup app?